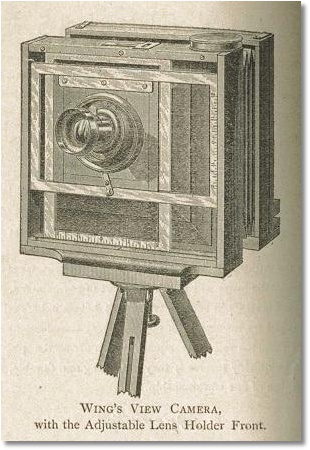 The 1888 Patent "Le Merveilleux"
Le Merveilleux was Lancaster's lowest priced series of cameras for the amateur. 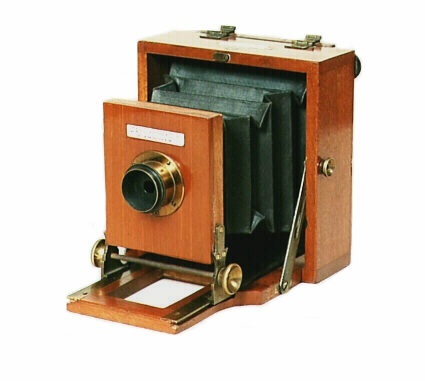 The camera itself is a primitive folding view design constructed of polished mahogany with brass trim. A simple meniscus achromatic lens, standard for the Le Merveilleux, was mounted in a brass tube that slides forwards and backwards for focusing. This example is the tiny 1/4 plate model exhibiting an understated yet elegant appearance. 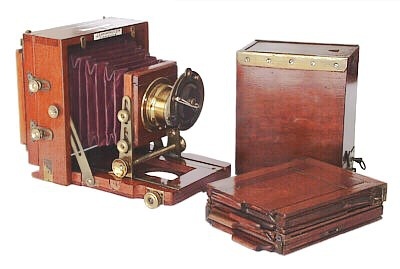 Lancaster offered the camera in plate sizes ranging from 1/4 through 12" x 10" as noted in a reference entitled "How To Be A Successful Amateur Photographer".